Many people have been asking what direction to take / what to do as a new player so I will list a relative guide as what you should strive to aim for. Keep in mind that you are clearing content in days it took me weeks/months to reach so things may feel fast forwarded and frustrating at times as your account rank may eclipse your PAD knowledge and matching skills. I highly recommend you take a look at my Community Resources Page to discover new mediums and sites to learn the ins and outs of Puzzle and Dragons. Get a strong starter / team that is viable in clearing descends. There are many existing pages heavily covering this topic so you will need to do some of your own homework on what to aim for as this guide is going to assume you have passed that stage of the game. The most current one I could find comes from Reddit. You must keep ranking up not only to increase your maximum stamina, but to also increase team cost to be able to fit in all the subs you wish to bring. Unfortunately (or fortunately?) 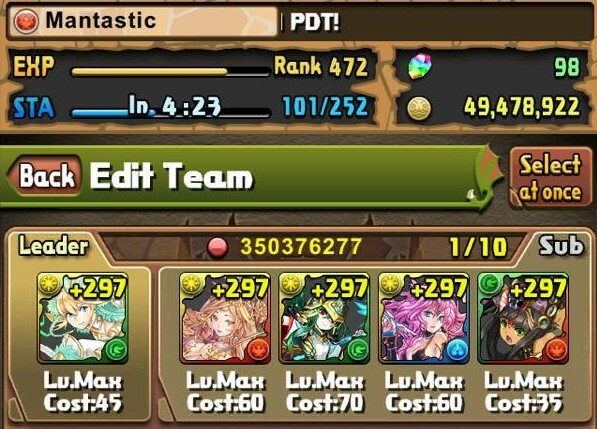 PAD is a very grindy game in that you are going to have to repeat dungeons over and over again whether it be for plus eggs, skill ups, team cost, or rank experience. 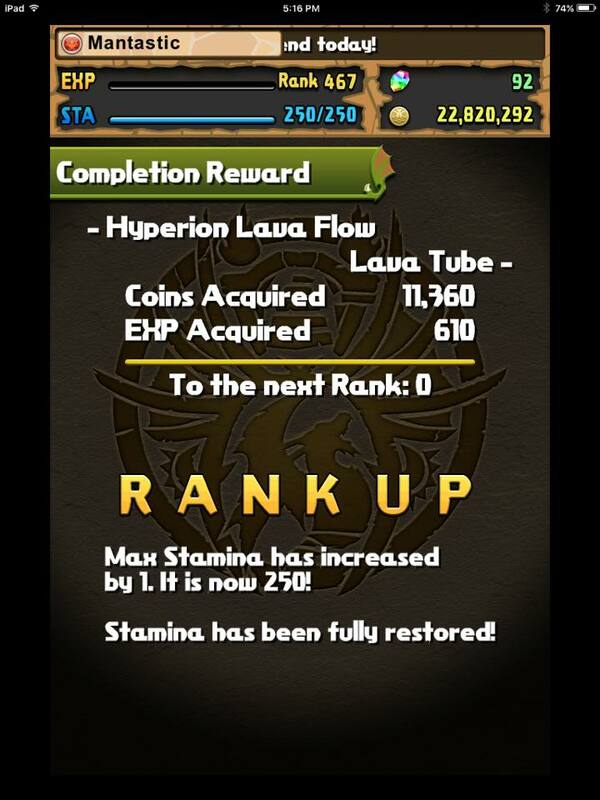 When you first start out, your rank and thus max stamina and team cost will be your limiting factors. As such, I cannot stress enough that you are going to have to play dungeons over and over again. Thankfully, GungHo has been introducing new methods for quickly ranking up such as the Experience of a Lifetime (awards 200k rank experience) and Monday Dungeon. I go into further detail in my Monday Dungeon Review Post and how to optimize your stamina. If those are not available, I would play the highest normal dungeon you are capable of clearing and only stopping when you feel you hit a ‘wall.’ A very important thing to note is that on Saturday and Sunday, Tower of Giants and most specifically Dragons of the Tower will be available for 3 stamina and thus providing ~500 exp / stamina. This may be boring but can be done infinitely for about the first 80 ranks. Lastly, always try to play normal dungeons that are affected by 1.5x experience provided you can reliable clear them. Level up you monsters as high as possible and evolve them to their max evolution if you are fortunate to acquire the rare 50 stamina materials (eg. 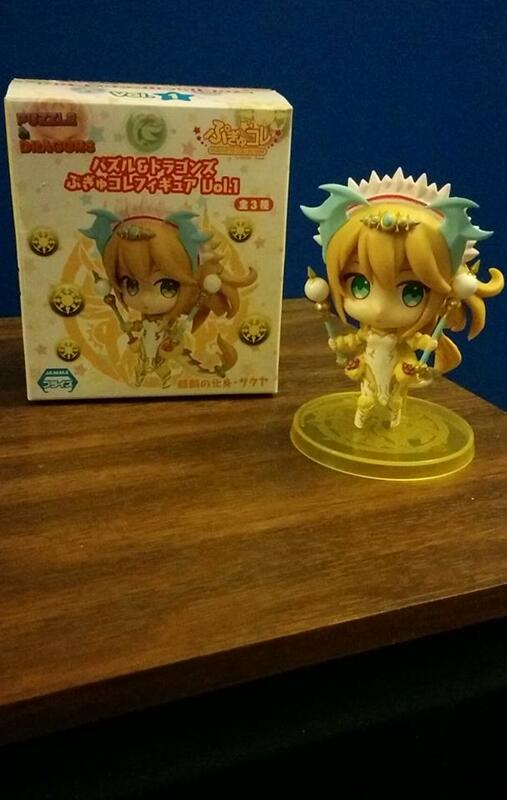 Keeper of gold, Jewel of Water, etc.). Even just reaching their second evolution is sufficient for early content. Research where their materials drop from and work towards acquiring them. It is also worth noting that monsters will gain diminishing returns on experience at higher levels because they require far more experience to level up near max level compared to the first several. Therefore, it is more beneficial to level up your leader and subs relatively equally instead of all experience into one card. Also remember that enhance material drops are used to feed to your monsters for a sizeable amount of experience. You do not need to spend your pal points as soon as you receive them and it is best to wait for the carnival that can benefit you the most. You can also store reward Pal Points in your mailbox as a means to prevent premature capping. Plus eggs are a valuable resource in Puzzle and Dragons as they add additional stats to your monsters alongside their normal level up numbers. You should pluses on your end game leader / most used sub as these stats will make a difference in the long run. As a general rule, it is best to plus out your favourite/end game leader since this will also generate more pal points through friends, Best Friend Requests, and overall levels of happiness. 297 pluses may sound like a daunting number, but remember that Gung Ho has periodically been introducing newer and faster places to acquire plus eggs. Please read my Plus Egg Descend Chart to find the optimal place to farm plus eggs along with my Plus Egg Fusing Guide to save both gold and time. Just remember that feeding more than 99 pluses in a single category will cause those to go to waste so be careful when nearing the limit. If that occurs, start to work on a different monster for that stat. Awaken your monsters, they are sleepy! Do not vendor Tamadras to save box space, simply leave them in your mailbox as ‘free’ inventory space. Generally the most beneficial awakening at the beginning are skill boost (to get actives up sooner and thus stall less) , two prong attack , row enhance (if team benefits from this) , and to a certain extent auto heal . This changes as you progress/descend depending. You can only awaken your monsters if they have been evolved and show the awakening icons on the right hand side. If none are showing, it means they cannot receive Tamadras and you must be patient. Latent Awakenings will have very little impact on your monsters at this stage in the game and are best to save until you have a better idea of your team compositions. 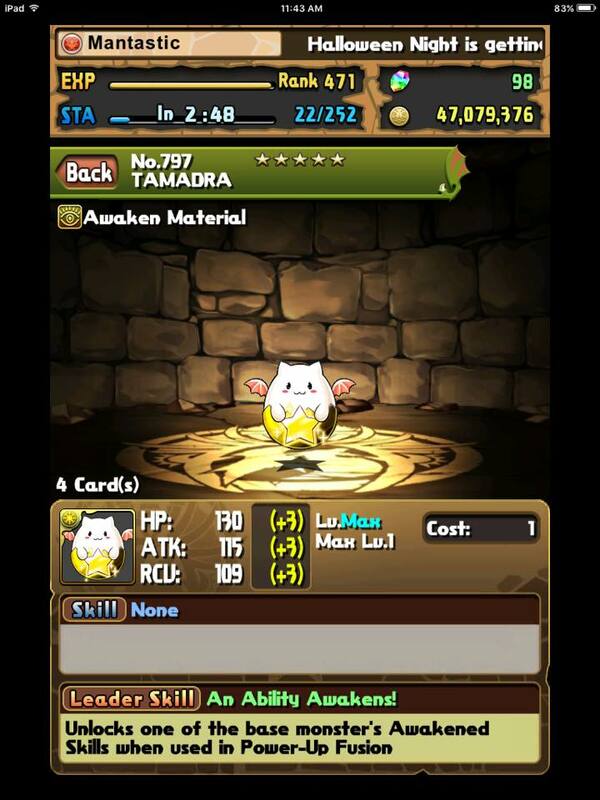 For further reading, please check out my Latent Tamadra 101 Guide. Do your own research on what the dungeon entails, if there is a pre-emptive of 12k and you have only 11k hp, find a way around it or attempt at a later date. In addition, do a damage test in Endless Corridors by taking a screenshot and calculating your damage and compare it to the dungeon you are plan on doing. You should also match 3 heart orbs in Endless to determine your base recovery. Each subsequent combo adds 25% more healing and damage and you can use this to determine if you can safely stall on a particular floor. For example, 5 combos will double your healing output. A great resource is PuzzledragonX as it contains a wealth of information about your favourite dungeons and monsters. Limited time dungeons rotate in the special section and are used to skill up various monsters. Even if they do not skill up your main cards, you should still clear them for an easy stone. Some of them such as Scarlet Snake Princess and Gleaming Dragon drop valuable subs for most teams. This also gives a break from the mindless grind of normal dungeons as you see different monsters and background scenery. Take this list with a grain of salt as this is personal opinion and the difficulty will vary based on player skill, team composition, and favourable dungeon mechanics. For example, light teams excel in Satan due to light damage being twice as effective versus dark attribute monsters. In this current day and age, there is going to be plenty of players running your favourite leads who are already pentamaxed. Post on the numerous Facebook fan pages with your ID and your favourite leader asking for help. From my own experience, the PAD community is amazingly warm and welcoming and you will get a response. You should also look at my Community Resources Page to find other mediums to connect with your fellow Puzzle and Dragoners. 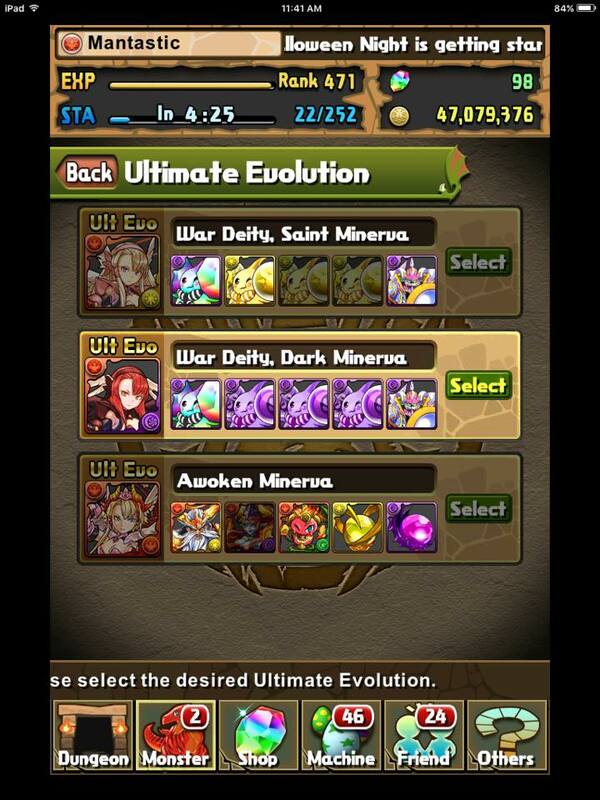 Puzzle and Dragons is not meant to beat in a day. It takes a long time to build up a strong team and certain things may come quickly, but others have to be grinded out. This is not a PvP game, so even if Bob has shiny new things, it does not affect your gameplay nor your enjoyment. Others may clear content at lower ranks simply due to better team composition, luck, individual skill, or the dungeon simply favours their team. Go at your own pace and enjoy the journey! Sakuya Loves All of You!